Two eyes. Four arms. Endless accuracy. With our name, we have to stay leading edge, which is why we choose to exclusively offer the FARO® Ion High-Precision Laser Tracker and FARO® Edge & ScanArm ES. In fact, to ensure we could meet our customers’ demands to their (and our) satisfaction, we invested in additional FARO® 3D laser inspection equipment. In other words, we have more “eyes and arms” at our disposal, so our customers don’t wait in line for just one piece of equipment. 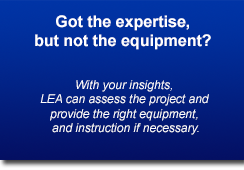 Ready to discuss your next 3D Laser Inspection project? Great. So are we. 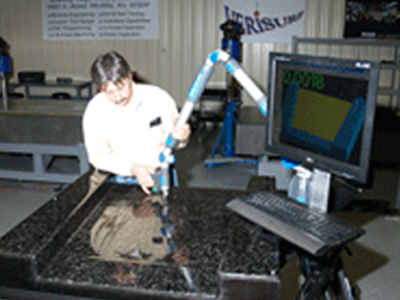 From verifying a part or tool to discussing a reverse engineering project, just call Ben Johnson at 316-942-1301, or email him. Your Leading Edge Team is ready to go!